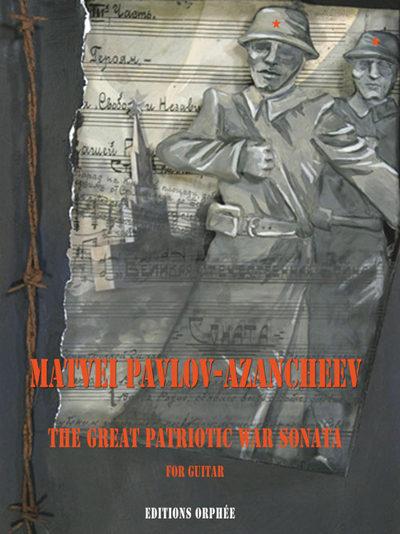 Editions Orphee, whose catalog features the famous seven-volume series, The Russian Collection, continues its excavation of this "lost" arm of the world's great classics by unearthing an unexpected de light in Pavlov-Azancheev's Second Sonata for guitar. Written for the Russian seven-string guitar, The Great Patriotic War is an excellent representative of the art in Soviet Russia. Ophee provides a fascinating background, biography, and discussion of the work in another handsome publication for serious guitarists. This is a great piece. It is easy to learn and not real long, yet it sounds so Russian. Without a better term, it is very ethnic. It would be a nice addition to anyone's collection. Enjoy!